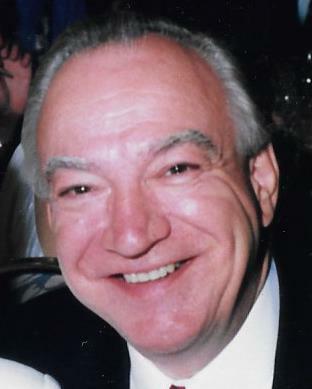 William S. Pochick, 83, of Green Brook, passed away on Wednesday, September 12, 2018 at Overlook Hospital in Summit. Born in New Brunswick, he was the son of the late Frank and Bertha (Horvath) Pochick. Mr. Pochick served his country honorably in the United States Army. He married, Julia Karlewski on June 14, 1959. They moved to Green Brook in 1963 and it was there that they would start and raise their family. William was an insurance salesman for 40 years, first for Met Life and then for Midland National Life. He was active in the Boy Scouts, Troop 129 as well as Little League in Green Brook. William loved to go fishing with his sons and with his grandkids. He also enjoyed the simple things, like working in the yard or simply spending time with his family. He will be deeply missed by all who knew and loved him. William is survived by his beloved wife of 59 years, Julia. He is also survived by his loving sons, William S. Pochick, Jr. and his wife Amy of Gillette, and Michael S. Pochick and his wife Pam of Green Brook. He is also survived by his cherished grandchildren, Steven R. Pochick, Justin M. Pochick and Kyle W. Pochick. Friends may visit the family on Sunday, September 16 from 2:00-5:00pm at the Sheenan Funeral Home, 233 Dunellen Ave in Dunellen. A funeral service will be held at the funeral home at 10:00am on Monday, September 17. Burial will follow at Sacred Heart Cemetery in Hillsborough.